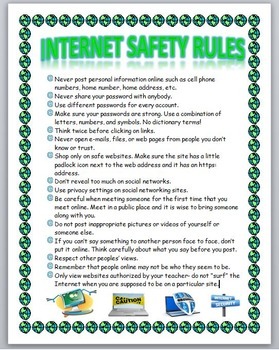 - Never post personal information online such as cell phone numbers, home number, home address, etc. - Never share your password with anybody. - Use different passwords for every account. - Make sure your passwords are strong. Use a combination of letters, numbers, and symbols. No dictionary terms!